First let me start by being completely honest here. When I started my Instagram account back in May of last year with zero (yes, ZERO) followers, I didn’t know what I was doing. I was new not only to Instagram as a platform, but to creative business as well. My photography was sub-par. My captions were listless at best. And I didn’t understand what a hashtag was, much less how to use one properly. Being the self-starter that I am though, I devoured blog posts about Instagram marketing left and right. I tried all of the advice out there (good and bad), and slowly started to build my following. Fast-forward 10 months, 400+ photos, and lots of trial and error later… I now have a loyal + engaged following of 30,000+ on Instagram. Oh, and that number is increasing by 500-600 new followers per day! Some days I ask myself that same question. Often I tell myself that it has all been a matter of luck and happenstance. And sure, there’s been some lucky breaks here and there, but none of them would have happened without a few calculated moves on my part. In essence: I created my own “luck”. #1 Be specific with your hashtags. A hashtag, in essence, is a way to turn a word (or a group of words) into a searchable link. When using hashtags, think in terms of what people might be searching for relative to your content. If you’re posting a picture of your most recent jewelry creation, remember that no one is searching for #jewelry. Or #earrings. Or even #cutestbraceletever. Sure, people are using these hashtags regularly, but trust me: Your customers are NOT going to find you this way. What they are searching for is #bohojewelry, #wrapbracelet, and #giftsformom. 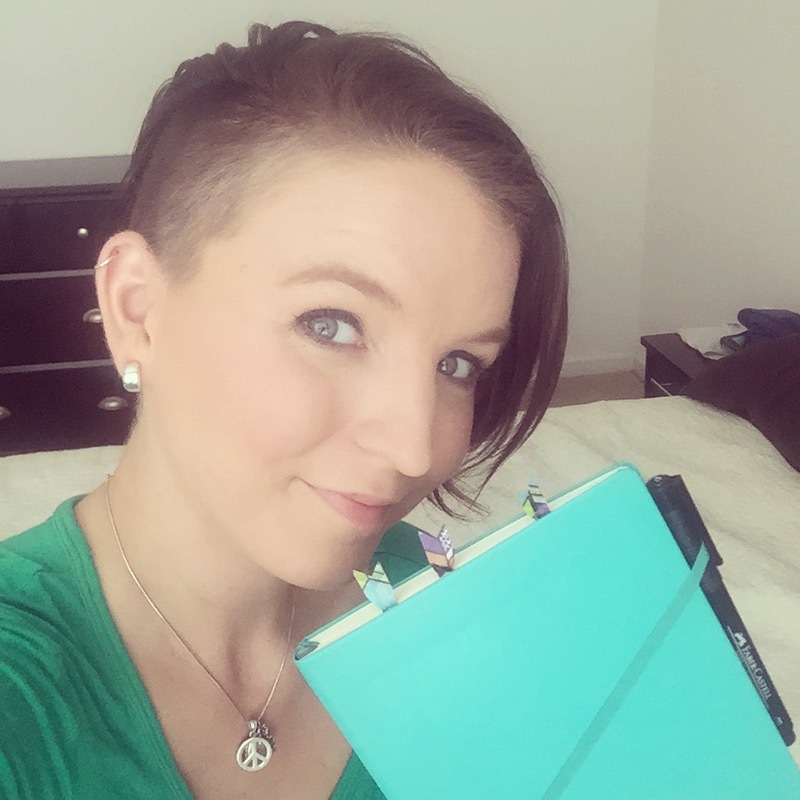 For example, I often use the hashtag #BulletJournal in my posts, because that is the first thing people search for when trying to find Bullet Journal ideas. This way, when a user searches the #BulletJournal hashtag, any post that I have tagged will show up in the search results. #2 Consider tagging brands and using their hashtags. This is where that “calculated luck” I was telling you about comes in, y’all! One of the biggest boosts I received on Instagram happened back in September. I had just decided to take on the Whole30 Challenge, and created a spread in my Bullet Journal to keep myself on track. I posted a pic of my spread to Instagram, and tagged @Whole30 in the photo. In addition, I used the hashtag #Whole30Challenge in the comments. On September 13th, the folks at Whole30 saw my photo (because I had tagged them in it), and re-posted it to their 183k+ followers The results? 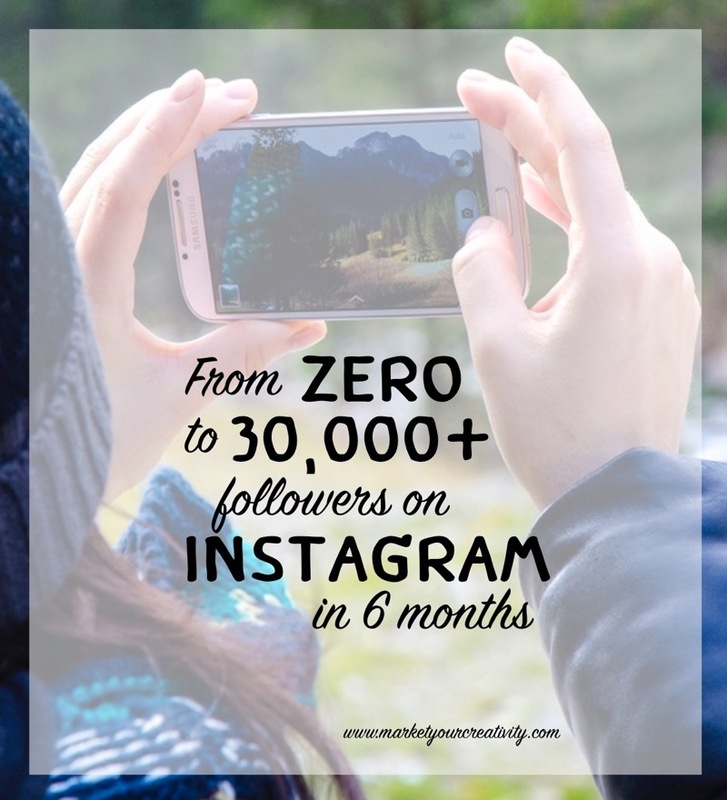 Not only did my Instagram following grow exponentially that day, but it trickled into other areas of my business as well. It sent loads of new traffic to my blog, which in turn resulted in email list signups, ebook sales, and of course new eyes on my blog as a whole. So how was this calculated luck? Well, I was lucky that Whole30 decided that my photo was share-worthy. But they would never have even seen it if I had not tagged them in the photo to begin with. Are you seeing the magic here? #3 Engagement is the currency of Instagram. Likes (hearts) and comments are great. The more engagement you get on your photos, the more likely you are to be in the “Top Posts” section of the search results for whatever hashtags you used. However, engagement on Instagram goes both ways. Instagram literally puts the word “social” in Social Media. 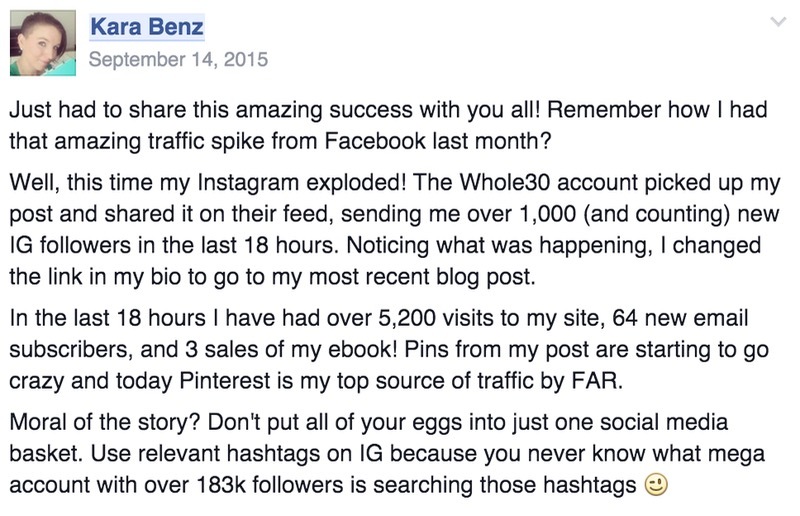 Being a part of the community as whole will drive your follower growth more than any other tactic out there. Search for hashtags relevant to your niche. Like and comment on the photos that stand out to you. Use those same hashtags in your own posts when relevant, and start conversations with your followers in your own comments section. There’s more! 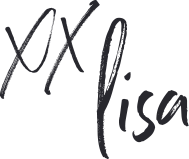 I’ll be teaching a segment during Lisa’s 3-day CreativeLive class, Turn Your Etsy Shop into a Sales Machine! 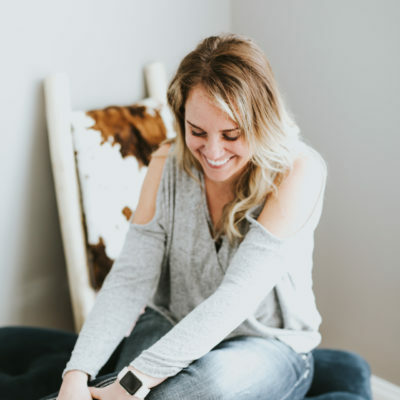 I’m going to show you how to strategically build your Instagram following to drive traffic and generate sales for your creative business. I’ll be sharing the complete play-by-play of how I went from zero to 30,000+ Instagram followers, and then I’ll teach you how to do the same. And remember, it’s always free when you tune in live! Click here to join us, and hit the “RSVP” button to save the date. See you there! I just started using IG, so these are some great tips. Thanks, Kara! Ohh.. there were SOOO many good tips here. Thanks for sharing your knowledge with us. The link to creative live took me to a blank page though (sad face). So two things . . . one completely (or maybe not!) unrelated to IG success . . . I had never heard of a Bullet Journal until today, when I’ve read TWO posts just this morning that mention it. I’ll have to check it out! I’m honored! Thank you, Ann – I’m glad to know you’ll be tuning in. love this, kara! question – do you have a great way of finding out which hashtags are being used for a specific subject? i usually just try to think of some and start searching.. but i’m always hit or miss. sometimes a relevant hashtag may be trending that i would never think about, you know? I always try to think of what I would type into Google or the like to find what I’m looking for. For example, if I was searching for design tutorials 😉 ;), I would first search the hashtag #graphicdesigntutorials or something along those lines. Also, did you know that when you start typing a hashtag in your IG caption, it will give you suggestions? I’ve found a lot of new hashtags that way. It will also tell you how popular that hashtag is (how many people have used it) as you type. I got featured on Instagram and grew from 2K+ to 27K and then the numbers have gradually dropped – and I wish someone would share more about the lower engagement after being featured, I am working hard on getting the engagement up and no longer really focused on the numbers, it’s 21.7K at the moment and I am quite sure continues to drop. My focus subject has been varied as the channel has always been a stream to feature everything about my life and blog – rather than a very specialised subject like only food or fashion or architecture photos. I took the brave decision of not compromising my own channel, but am still trying to figure out the engagement part. Any tips?? Maybe my life just isn’t interesting enough and the Instagram featured user was a fluke! What a great article! I have been wanting to focus on Instagram lately, so this will definitely help. Congrats on your whole30 success story, too! Really great tips. 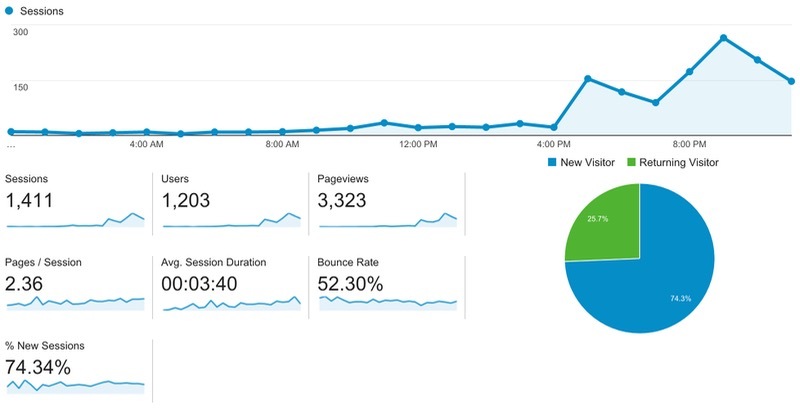 Its so important to keep your eye on analytics so that you can respond to spikes in traffic like that. Nice job.